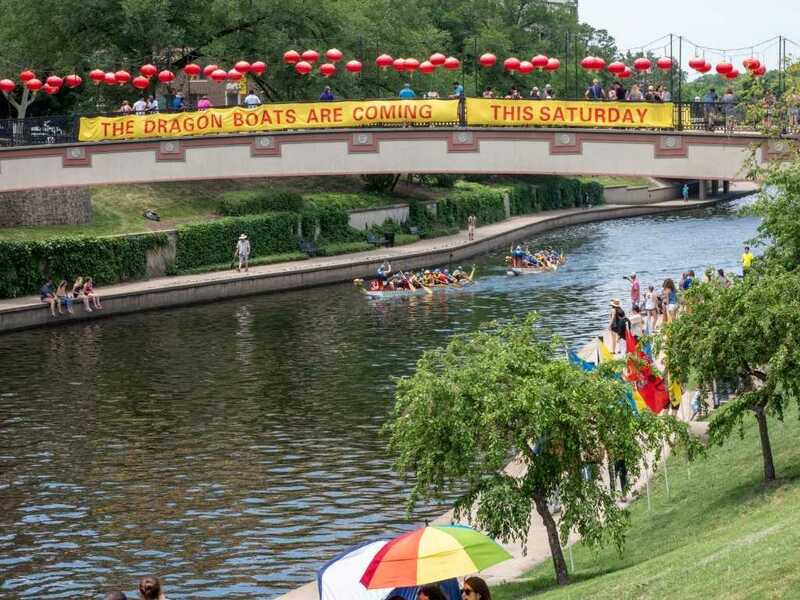 A four member delegation from Kansas City’s Sister City; Xi’an, China; participated in the 14th annual Kansas City International Dragon Boat Festival on June 9, 2018. The delegation was led by Hanyun Dai, Advisor of the Xi’an Municipal Foreign and Overseas Chinese Affairs Office. 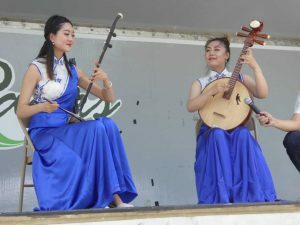 The other delegates included two award-winning performers of Chinese traditional musical instruments, Nan Ma and Ting Li, and horse-dancing trainer Bing Wang. 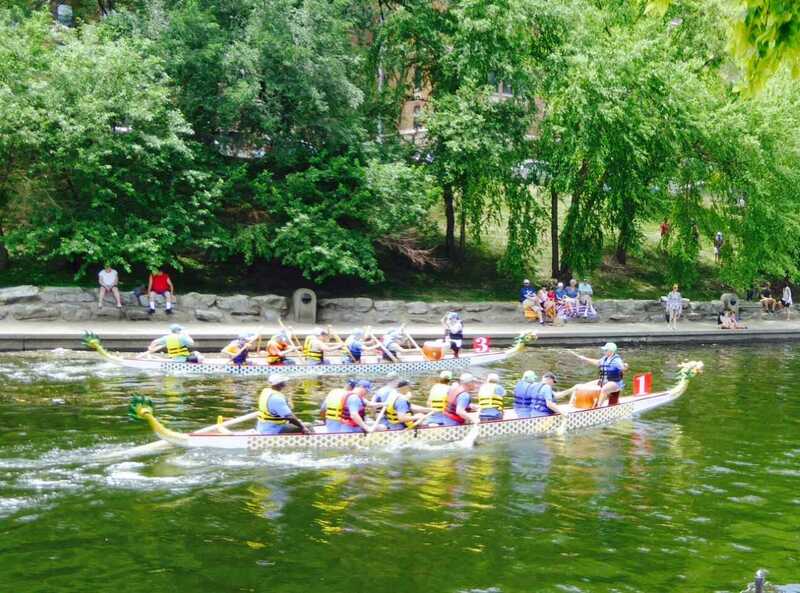 Besides dragon boat races, Kansas City’s dragon boat festival has stage performances and cultural demonstrations. The hour-long music performance by Ms. Ma and Ms. Li received high praises from the audience. Photos of horse training also attracted curious visitors to the cultural demonstrations tent. The Dragon Boat Festival is not the only collaborative effort between Kansas City and Xi’an throughout the year. In late 2017, Kansas City participated in the Euro-Asia Economic Forum and the Sister Cities’ Roundtable discussion in Xi’an. Mayor Pro Tem, Scott Wagner, led the Kansas City delegation on this trip. In November 2013, four Kansas City marathon winners, representatives of the Kansas City municipal government, the Kansas City Xi’an Sister City Committee, and local businesses participated in Xi’an International City Wall Marathon. Kansas City has also established the “Beverly Chien Graham Memorial Scholarship”, which provides scholarships to low-income students in Shaanxi Normal University, located in Xi’an. 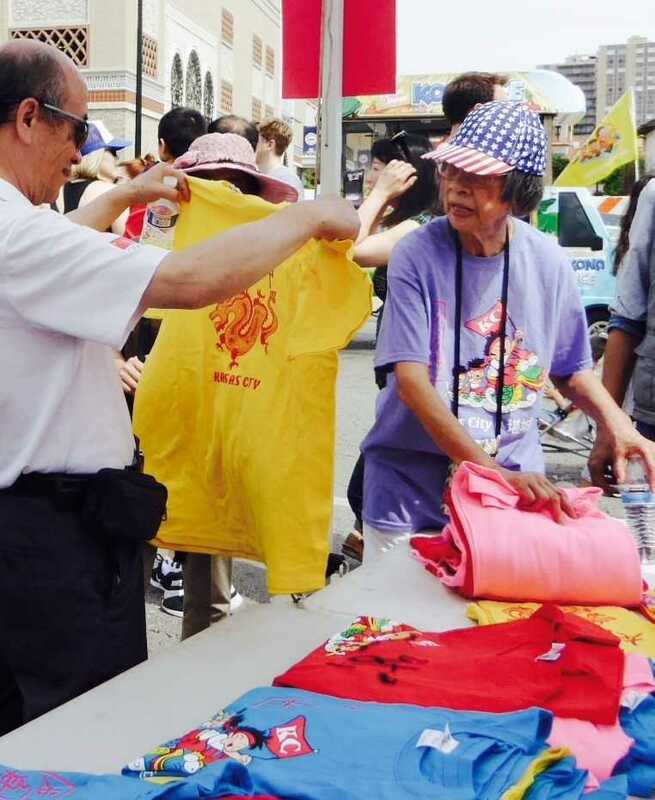 Teresa Chien, Chair of the Xi’an Sister City Committee and President of the Society for Friendship with China, thanked the Xi’an municipal government for supporting the Dragon Boat Festival and asked Ms. Dai to bring the warmest wishes from the people of Kansas City to Xi’an. Ms. Dai thanked the hospitality the delegates received in Kansas City. She said she was very much impressed by the community involvement in the festival – from children performing Chinese traditional dances; to over 10 dragon boat racing teams consisting of local businesses, non-profit organizations, and colleges; to hundreds and thousands of volunteering hours by local residents, some of whom are over 80 years old, to organize and help with the festival. “Kansas City will celebrate its sister city relationship with Xi’an for 30 years next year. I would love to welcome another delegation from Xi’an to celebrate the anniversary with us at the 2019 Dragon Boat Festival,” said Ms. Chien. 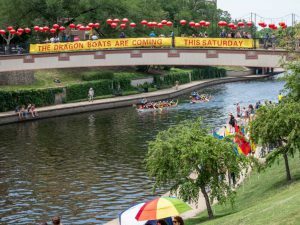 No Replies to "Xi'an Delegates Participate in Kansas City's Dragon Boat Festival"